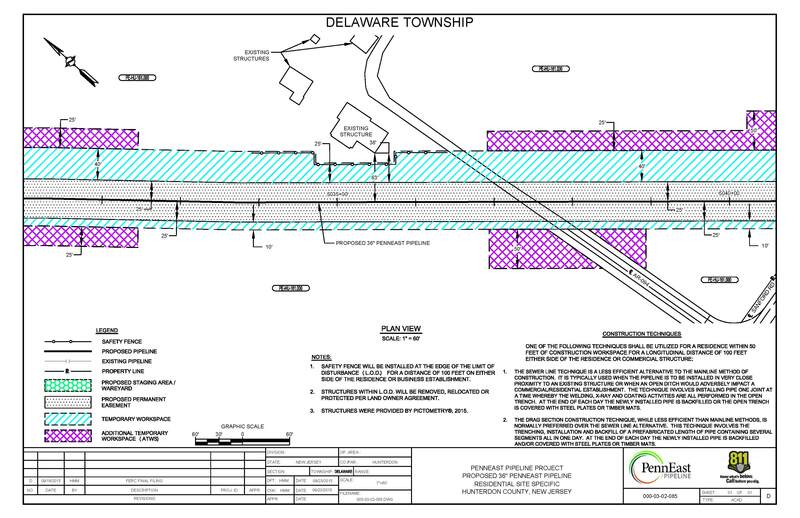 Stay on top of the latest PennEast Route changes. 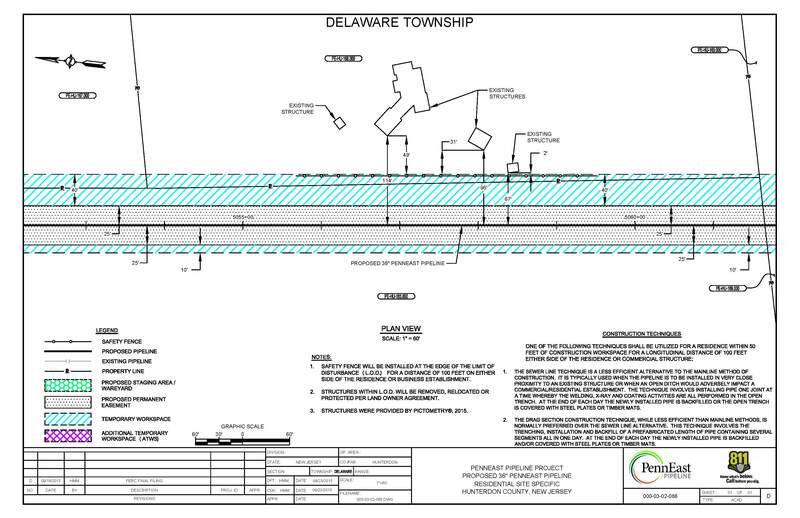 View the property construction Maps with details of 150-200 ft construction zone in Delaware Twsp. the construction zone even more. 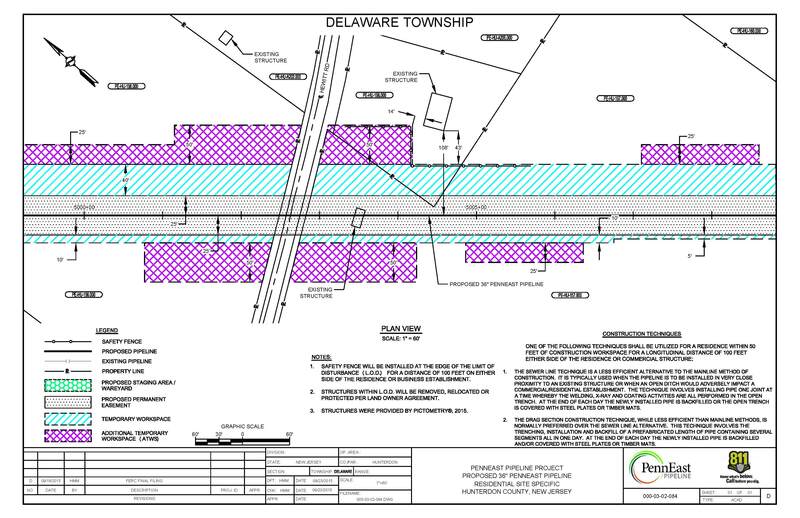 15% out the 57 parcels affected in Delaware Twsp have given survey permission. 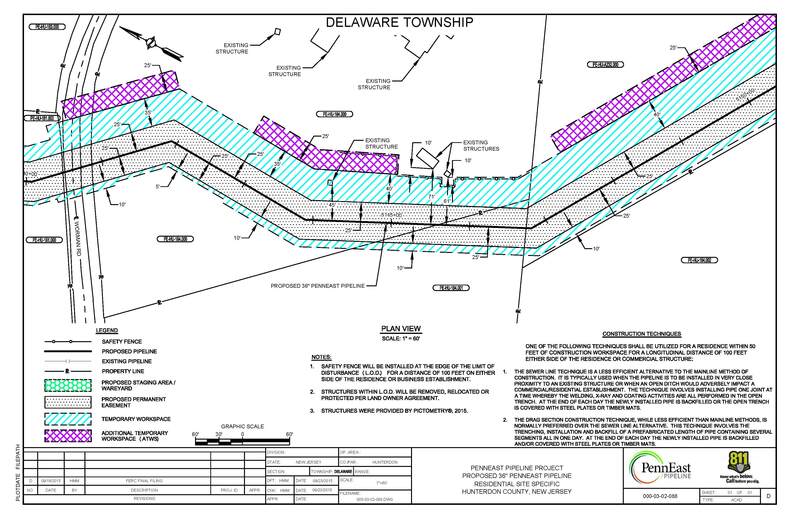 Over 70% of impacted landowners in NJ have denied PennEast acess to their land. page & use our letter to comment to FERC that your land has been surveyed without your permission. 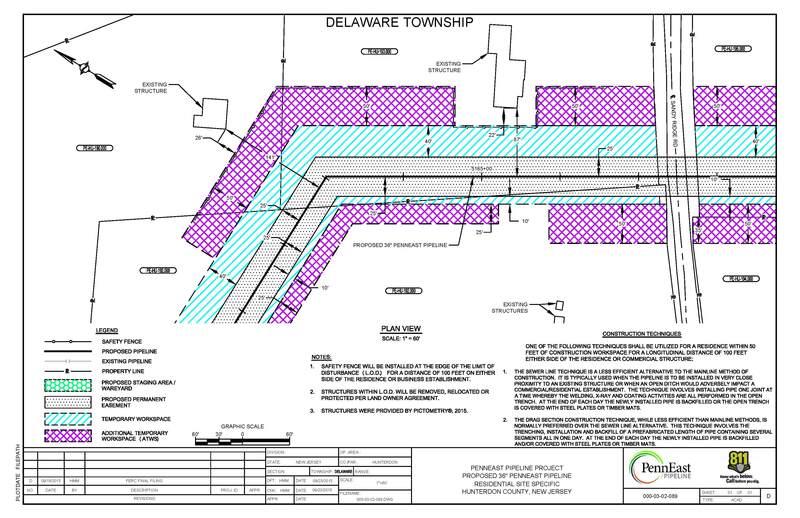 These are construction documents of impacted properties. 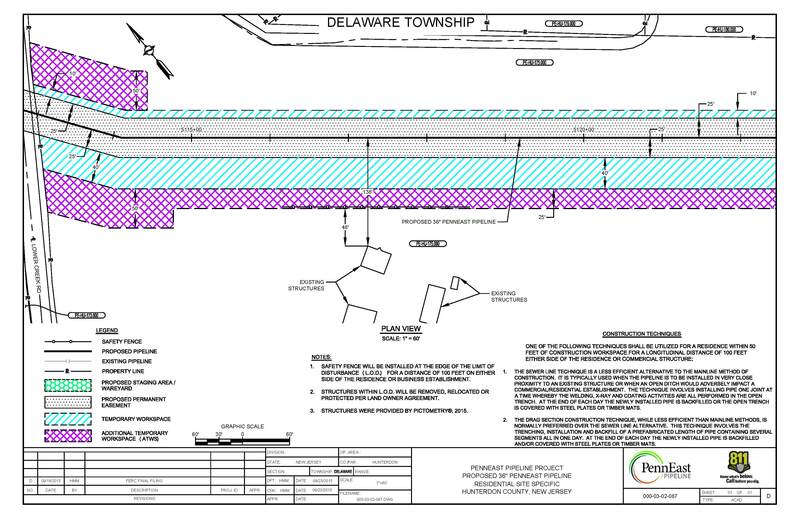 Here you will find the pipeline route, along with the construction width and additional temporary workspace (ATWS), that will need to be leveled and cleared if the pipeline was to be constructed. If anyone wishes to rescind your survey access permission , please contact us for details.